DD5LP – June 25th. 2015 – DM/BW-348 Gehrenberg. As I was picking up Colin M6BOY from Munich Airport and travelling down on the Thursday to Friedrichshafen for the “HAM RADIO” event which started on the Friday we had a little spare time on Thursday afternoon, so I offered to show Colin a SOTA activation, which he accepted. So the plan was set. I originally was going to activate DM/BW-350 Rinkenberg, by heading cross-country from the Autobahn but in order to handle any delays, I decided it was better to go for the nearest summit to Friedrichshafen so that activation could be cancelled to allow arrival at the appartment at the correct time to pick up the keys. As it turned out, despite getting stuck in one traffic jam for an hour, I did manage to get back on schedule and the SOTA activation took place. Gehrenberg is easy to find at the end of a road off the K7750 road from Markdorf to Harresheim, just before Harresheim. After a delay getting to the airport, the run down went very well with us arriving near to the summit around the expected time. It was about a 5 minute walk up the track into the forest to near where the radio tower is located. Once I was at my activation spot, I slowly unloaded the equipment onto a couple of fallen tree trunks and had Colin help me set-up. I only took the 6 metre telescopic squid pole from the car rather than the 10m one as it was easier to carry and set up, strapped to a marker post. The Aerial-51 OCF was run out and pegged to the ground. To show the value and effectiveness of the SOTA spotting system, I first put out calls on 20 & 40m with no replies. I then spotted myself on 40m and called again. The result was impressive – instant pile-up. As Colin is currently only a UK foundation licence holder, he was unable to operate as there is no reciprocal arrangement except for full licencees. After a while working the 40m chasers, we both smelt something burning and indeed my little Ramsey QRP amp, which gives me 25W on 40m had decided to cook one of its transistors again. I ran the last couple of contacts on the basic 5W from the FT-817. As time was now pressing for us to go and collect the keys for the apartment, I packed up and we headed back into Friedrichshafen. 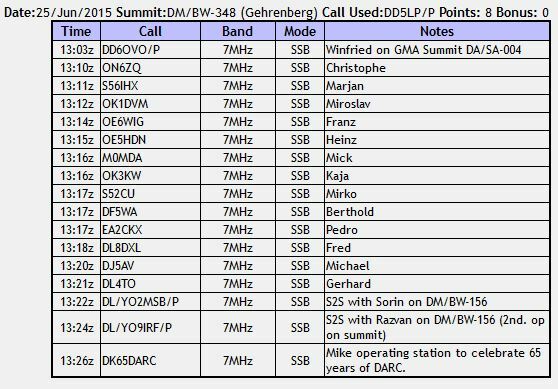 A total of 17 stations were worked with one SOTA S2S contact, one GMA S2S contact and one special event station in the log. The simple replacement of the transistor in the amp, when it failed on the last activation, was not enough. Although there was no smoke this time, the amp needs to be more reliable again – as it has been for the preceding 6 months. 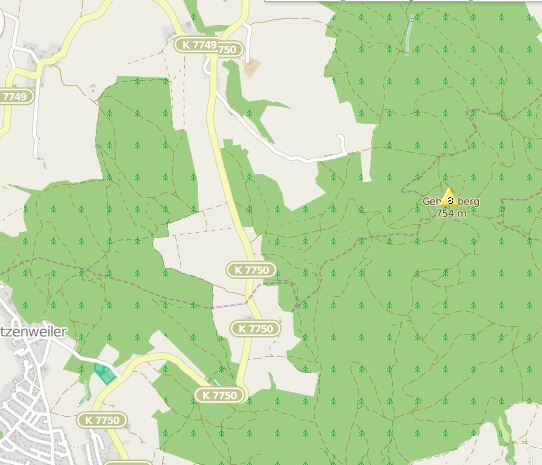 This entry was posted in SOTA and tagged DLBW-348, Gehrenberg, SOTA by VK2JI DD5LP G8GLM. Bookmark the permalink.